An interview with Michael Cook, who runs the off-ice training program at Skating Club of Boston. 34 minutes. On his most embarrassing skating moment: It’s a scheduling moment. I pride myself on being on time and knowing who I’m meeting when. Unfortunately this past weekend I managed to omit someone from my schedule. But for a skating moment, having dealt with skaters for most of my career, I can say that nothing surprises me with respect to the figure skaters that I manage or work with [laughs]. On working with skaters: One of the reasons that I like the environment I work in is that the kids feel free to come in to talk to me if something’s going on with their parents, something’s going on with their coaches, something’s going on with their friends, that they can confide in me. Granted, I’m 40+ years old, but I have a little bit of experience. I sit, I listen, I try to help them to maybe see the other perspective or where the issue might be generating from, or how to manage it to where it will be a positive result for them. On the difference in training between skaters and athletes in other sports: The demands on the athletes are based on the environment around them. And skating is a one-sided sport. They need to find that balance where they can balance out their body, and setting their personal goals, whether it’s the season, the year, or the Olympics. It’s trying to set up a proper frame or a map for them to follow. When they tell me about their successes, and my role in their successes, all I tell them is, I’m the one setting up the road map, but you’re the one following the map, and that’s the way that you’re making the success happen. There’s a lot of balance that I think the skaters need, and then they have to manage the forces on them, the forces that they create. And that is one of the things that’s challenging in our sport. You want to make sure that the athlete’s properly prepared, but there’s a fine line between overuse and not being able to get them prepared enough. And unfortunately, as a friend of mine put it to me the other day, there’s two components to injury prevention, on-ice and off-ice. It’s not just what happens in the weight room. It’s also how they’re managed and what happens to them on the ice. They jump 15 or so times in the 30-minute session on the ice, and the best I can do is help them manage what happens because of that. There’s no way to prevent the breakdown that happens as a result of that. On whether genetics affect skaters’ ability: There is a genetic disposition toward some people being better athletes, but no one falls into the same mold. It’s all individualized, based on the athletes. You can look at the parents, but if they’re not athletic and their child is trying to be athletic, you want to help that athlete achieve that goal. You want to work through any specific barriers that might be put up regarding that genetic disposition. I have some skaters who are non-flexible, for lack of a better word, and that’s unfortunate given their choice of sport, but I try to help them because they need to be able to reach those end ranges and be stable at those end ranges, and be comfortable through that whole range of motion. On injuries: Overuse is the most common component. But I had one girl who competed at Nationals, prior to her going out to the competition, she had taken a pretty bad fall, and it was discovered to be a break, but she went and competed, and we had it casted up afterward by the medical staff there. There are some pretty tough skaters out there. But on the flip side, I also have skaters I hear from on a daily basis who tell me, oh, this hurt today, oh, that hurt today. And you have to be able to judge whether it’s a serious enough injury – everyone should be evaluated to some extent, but the depth of the evaluation depends on the history, if there’s something repetitive and a cycle going on, then we need to try to manage that. If it’s something that happens once and doesn’t come back again, then I’m not too concerned. On the most common conditioning mistakes that skaters make: I think they fall short in regard to their cardiovascular and anaerobic condition, the fact that they struggle so much at the end of their programs. Part of their season conditioning program is set up as a periodization scheme, a monthly or weekly model or even a daily model as to what they should be following in aerobic training, strength training, speed and agility training, and then core and plyometric training. And the part that they fall on the most is they don’t understand the importance of establishing their cardiovascular base early enough in the year that they can gain the benefits of the anaerobic component, because that is what will be tasked at the end of the year as they get through the end of their competitive season. That is what enables them to finish stronger instead of feeling they have legs of rubber. 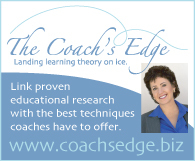 On US Figure Skating’s attitude toward off-ice training: [There was a recent meeting called by US Figure Skating] of biomechanists, kinesiologists, coaches and trainers, and we sat down over an eight-hour day and talked about, what should these coaches do who don’t have access to a strength and training specialist to work on both improving their athlete’s performance and reducing their injury exposure. And there was a tremendous amount of information that was shared through all components of it. We’re hoping that within the next six months or so that we might see a guideline book put out by USFS on what athletes should look at and what they can do for their conditioning components. On why off-ice training is important: The demands of the sport have made it necessary for skaters to bring this training to a different level, because it’s created the need for a proper environment for these skaters to grow, as individuals but also as athletes. And I think that’s a perspective that gets lost sometimes, because figure skaters are truly figure skaters, but before that, they’re developing individuals, they’re maturing adults, they’re growing children. And from there they go into being an athlete, and that athlete has chosen the path of being a figure skater. And they need to be trained accordingly. 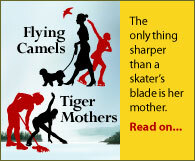 On the advice that he would give to skaters and skaters’ parents: It would be how to create a team. As much as it’s an individual sport, with that person on the ice by themselves, there’s also a team of people that need to be involved. And there needs to be clear communication between the team members. If there’s any communication that’s lost between the team members, it impedes the ability of that athlete to progress. There has to be communication between the athlete and the coach, there has to be communication between the coach and the parents and the off-ice trainer, the physical therapist and the off-ice trainer, and any additional medical personnel that are involved. The dance component, the Pilates involvement, everybody needs to communicate. And the most important piece of communication — you need to be able to communicate with your coach. Because if you just aren’t comfortable communicating with your coach, it sets up a barrier to you furthering your skills and your progression, based on what they’re trying to teach you on the ice.